Welcome to Feeding Our Flamingos! Humble in a Heartbeat is no more! There’s a new blog name, design, and topics. Read on to find out what’s changed around here and why. Back in 2014 when I started my blog, Humble in a Heartbeat, I was a new mom for the second time and had an 18 month old toddler. My husband still got a paycheck every two weeks, and life was just a lot less hectic (even though I thought it was pretty crazy then!). Fast forward nearly 4 years and now I have 3 kids, ages 5, 4, and 19 months. My husband owns a business (and once had a very unsteady paycheck) and is considering starting two new ones within the next year. I have to take my 5 year old to and from school each day. Life is just a lot more chaotic now. 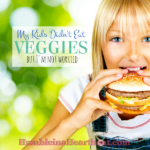 When it comes to our diets, I have made a huge effort the last two years to really try and get more veggies and real food into our bodies, even though our grocery budget is relatively small, even though we have a couple picky eaters in the house, even though we now have at least one food sensitivity among two members of the family, and even though I just plain have less time to cook. But I really think I’m on the right path. We might not eat 100% healthy, but we’re probably about 60% of the way there. My goal is never 100% because we like an occasional treat and sometimes really just want pizza for dinner, but my intention is to make most of our food good for us. Last year when I decided to rebrand, I realized I had a bit of experience that I could definitely share with others who might be walking a similar path. Which brings us to the present moment. Humble in a Heartbeat has become Feeding Our Flamingos. Feeding Our Flamingos is a blog title that needs a bit of explanation. When my friend and I were trying to come up with names, my friend suggested Feeding Flamingos. She said the Flamingo part was a play on words with my last name, Flaminio. I thought it was cute, but I couldn’t envision how it would relate to anyone else. Then the name kept coming back to me and I had a bit of an epiphany. I realized flamingos are pink because of the food they eat. If they were to decide that brine shrimp (and whatever else they eat) was no longer tasty enough or they couldn’t find enough of it, they would start eating something else and their bright pink color would change. Thus, flamingos literally are what they eat. In the exact same way, humans are what they eat, too. 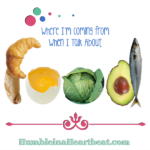 We eat what our bodies need (you know, fruits, veggies, healthy fats, protein, etc.) and they respond by giving us energy and supplying our bodies with what they need. On the other hand, when we eat too much of what we know is not so good for us, our bodies might respond in a negative way. If we make it a consistent pattern and habit, our bodies might eventually give up on us all-together. Because we are what we eat. Now that I have had lots of time to change directions and really think about this new topic for my website, I realize that I may not be an expert but I have a lot to offer. I have been feeding my own flamingos for the last (nearly) 10 years! It started with just my husband and myself, but then our family grew, and now I’m responsible for feeding 5 big and little flamingos. If I thought healthy eating had to be all-in or nothing, I wouldn’t be writing anymore. For one thing, I believe healthy eating is a journey that is different for every single person. We each have to make choices every day to keep us healthy and living a full life. Those choices are different for every person. I might spend a decade trying to eat healthy and only get halfway there. Your journey could be faster and/or more strict than mine. You might cut out sugar and become vegan in a few short months. I have realized that I can’t compare my healthy-eating journey with anyone around me. It’s just not going to look the same. Healthy eating is super personal. 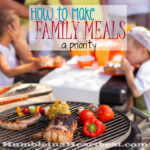 And I’m certainly not here to sit on my high-horse and tell you that you aren’t feeding your family well enough (although, if you read some of my older posts you might get that vibe, but I wasn’t trying to come across that way!). You are no better or worse than someone just because of how you choose to eat. And, for the record, I don’t believe in counting calories or going on a “diet.” I also don’t believe that you should force your family to eat healthy food. And I definitely don’t believe in eating healthy food that is bland or boring. 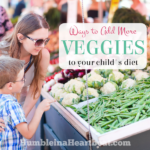 Around the site, you will see a phrase come up over and over again that I want to explain: I believe you can feed your family healthy, delicious meals without spending a fortune or slaving away in the kitchen. That sentence is not something I believed when I first got married or even 3 years ago. It’s taken trial and error to really believe it. Our food budget is less than $500 a month for a family of 5. We used to spend about $300-$350 a month on food, but we didn’t eat very many veggies in our meals. The extra money we spend now is necessary if we want healthier food in our diets. I know we spend a lot less money on food than most Americans with our family size. Do you think I believed that phrase when our budget was quite small and I couldn’t (or wouldn’t) buy healthy food? I used to literally stand in my kitchen for 1-2 hours every single day making dinner for my family, and it wasn’t even that healthy. Do you think I believed that phrase then? Before I started cooking healthy food, I made freaking delicious meals that my husband and kids always praised. 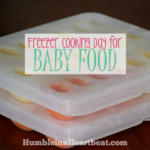 Do you think I believed that phrase when I was making those comfort foods every day? I couldn’t be happier about the changes that have taken place on this website since last year, and the icing on the cake is definitely my new design. Don’t you just love it? 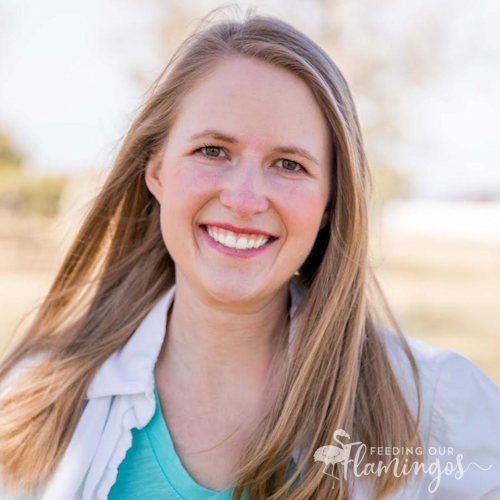 I want to be helpful and create blog posts and products based on your needs, so please do not hesitate to email me with questions (charlee @ feedingourflamingos.com). Just remember, I am not a doctor or dietitian. I cannot give you medical advice. But I can help you figure out how to meal plan, save money on your groceries, and deal with the picky eaters in your house. Read more about Feeding Our Flamingos right over HERE. I appreciate all the social shares, emails, and especially support over the years. I can’t wait to see where this blog takes us next! Hi! I wanted to let you know I bought a subscription to Plan to Eat and I’m SO GLAD I DID! I love it, I’m a bit obsessed with it, I can’t get recipes in there fast enough! It’s fast, easy, organized. Finally, this is what I’ve been trying to do with my files and files of recipes for years. Thanks so much for the recommendation and the link!